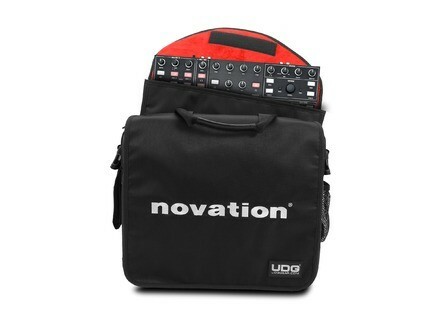 UDG CourierBag for Novation Twitch, Other Bag/Gig-Bag from Novation. 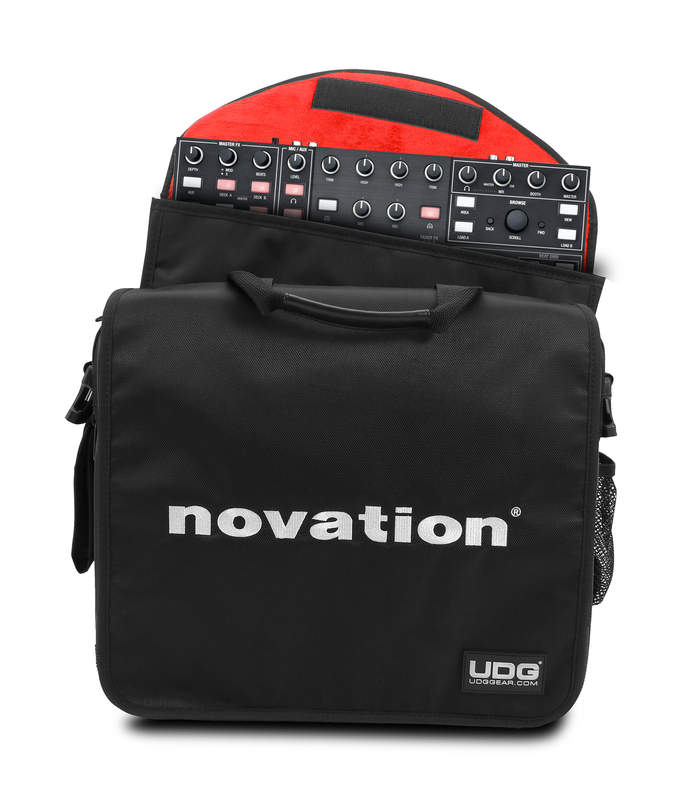 Novation and UDG announce that the Twitch CourierBag Deluxe is now available. The bag was co-designed by Novation and UDG to accompany Twitch, the touchstrip DJ controller. The bag is constructed from 420D Nylon and comes with a padded sleeve with non-scratch interior lining to keep your Twitch protected. The bag has space for other DJ gear. There's a padded laptop compartment that's big enough for a 17" MacBook Pro, plus additional storage for an audio interface, headphones, cables and accessories. It has a shoulder strap and a handle with rubber grip. It also has a detachable phone pocket and water bottle holder and it can slide over a trolley bag. Visit www.novationmusic.com for more details. Sensaphonics Zephyr Sensaphonics has announced the availability of the Dry & Store Zephyr, an electronic desiccant system that actually deodorizes while it dries earphones, according to the company. Protection Racket White for Ben Thompson Protection Racket have come up with White soft drum cases for Two Door Cinema Club Drummer Ben Thompson. Protection Racket Snare Drum Rucksack Two of Protection Racket's 10 snare cases now come with rucksack straps and concealed shoulder straps as well as the standard carrying handle.